Ecobee3 vs Ecobee4 – Does Alexa Belong in Your Thermostat? A smart thermostat with Alexa built inside? Do you really need that? Instead of purchasing a separate Amazon Echo to ask Alexa questions, you can easily talk back and forth with your Ecobee4. But it will cost you more than the Ecobee3 (and there are other differences to consider). Let’s compare both Ecobees to find the key differences. We will help you decide which Ecobee is worth your money through this in-depth comparison. Ecobee3 on the left, Ecobee4 on the right. 1.3 Is Ecobee4 worth it? A few years ago, Ecobee3 changed the game for smart thermostats. That’s because they included a remote sensor for monitoring the temperature of other rooms. This prevents uneven temperatures by keeping an eye on cold or warm rooms in the home, and adjusting Ecobee as needed. This is one of the most popular features of Ecobee3, and the good news is that Ecobee4 still includes room sensors. Ecobee sells some of the best smart thermostats available, but figuring out which one to buy can be confusing. 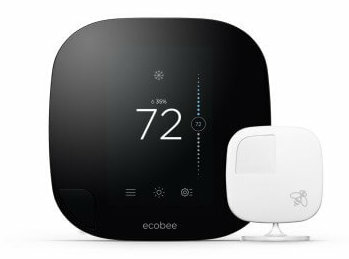 There are several similarities between both Ecobee thermostats, but there are also major differences to know about. We’ll go over Ecobee4’s upgrades before diving into the similarities of Ecobee3 and Ecobee4. When comparing these thermostats, these are the upgrades you can expect with the newer Ecobee4. 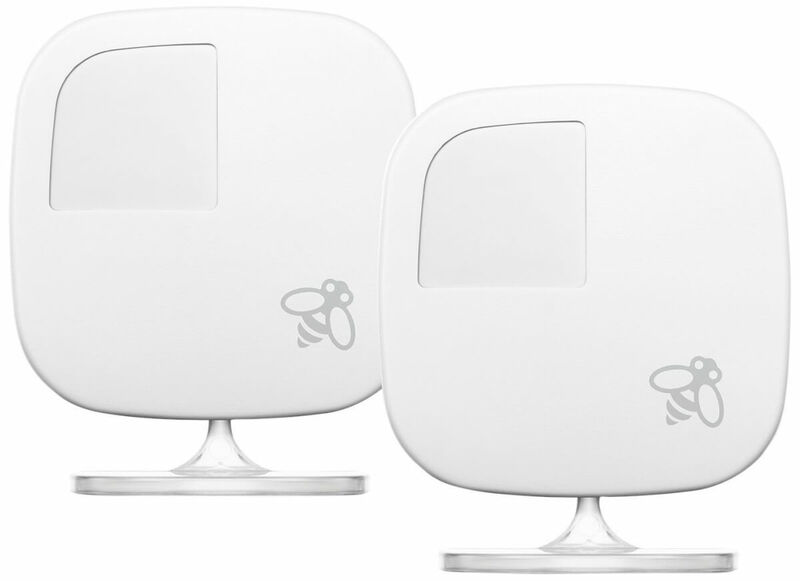 These are not available on Ecobee3 or Ecobee3 Lite. Built-in Alexa. This is the biggest difference between the two. Most skills you can do with Alexa are possible through the Ecobee4: you can ask the weather, turn on your lights, etc. However, the Ecobee4 has some Alexa skills that are incompatible. It can’t play music, connect to Spotify (or other third-party apps), shop on Amazon, or call other Alexa devices. You also cannot change the wake word on it: you’re stuck with “Alexa” as the word for voice control on Ecobee4. A light on top. Just like Alexa lights up when it hears the wake word, so does Ecobee4. 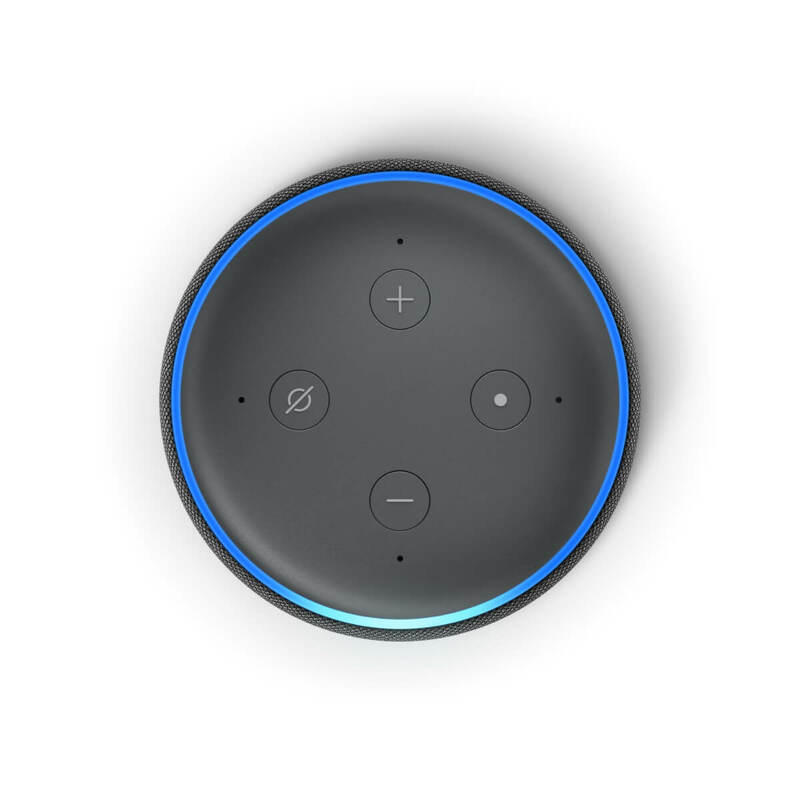 Its navy and light blue bar on top illuminates when it hears you say “Alexa,” then it responds to you. One annoyance: if you disable Alexa, this light will glow red all the time. So you want to make sure you’re dedicated to using Alexa on this thermostat before purchasing. Updated design. Ecobee4 is more rounded instead of square, and has a completely flat face so it’s easier to read. It’s also thicker: Ecobee3 is only 0.86″ thick, while Ecobee4 is 1.02″ thick. The screen interface adds microphone and voice control settings to its design to help you change the Alexa features. Improved mounting plate. The new version is one piece instead of two and has a smaller design. This plate is what screws to the wall and organizes your wires for easy installation. Its updated design moved around some of the wires, so you’ll want to pay attention if you upgrade from Ecobee3. Updated trim panel. This is to cover the hole for your thermostat and contain any wires. As pointed out in reviews on Amazon, the updated trim plate has a rounded, sleeker design and smaller holes. The reduced hole size means less air flowing from inside the wall, throwing off the thermostat’s accuracy. Far-field voice recognition. This is the same technology built into the Echo devices. 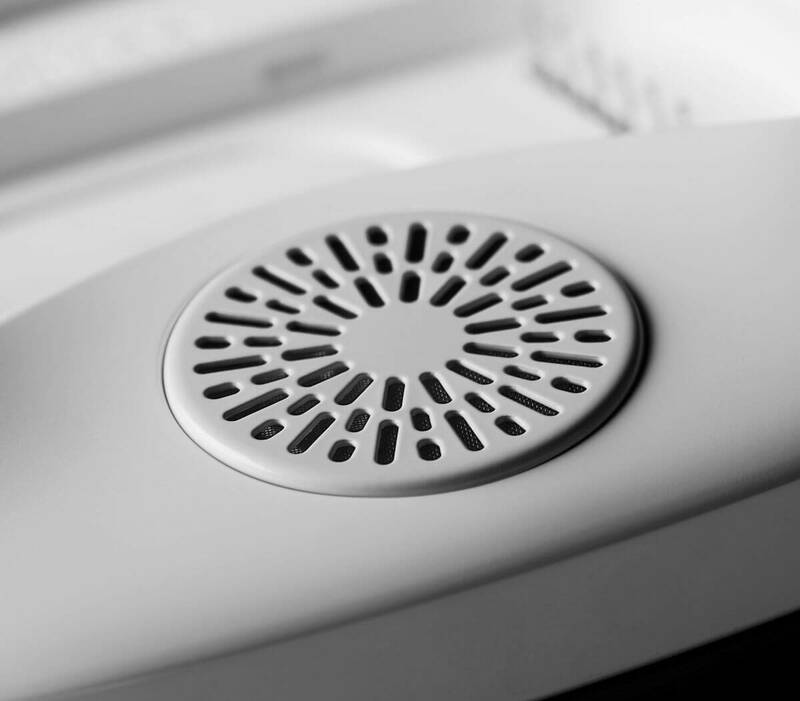 Its embedded microphones can respond to commands from anywhere in the room. If you have multiple Alexa devices, only the closest one should respond. The fact that Alexa can hear you from far away is important, since many people have thermostats located in a hallway or somewhere they may not spend a lot of time. If your thermostat is near your bedroom, you may be able to tell Alexa to adjust the thermostat from bed because the microphones can still hear from far away. A speaker on the back, allowing it to respond, answer questions, and even play music. Control Alexa manually in the Ecobee app by lowering the volume or enabling privacy mode. As mentioned, both Ecobee4 vs Ecobee3 have quite a few features in common. These are the specs that you expect on either thermostat. 1 room sensor included. These sensors monitor the temperature remotely throughout your home to prevent one room from getting drafty or sweltering. You can also purchase extra sensors separately. These sensors work together: Ecobee takes the average temperature of all of the sensors and adjusts your home based on that. Hardwired connections that don’t depend on a battery to recharge. If you have a c-wire, you will use that for installation. No c-wire? Just use the included Power Extender Kit to get it working. Power extender kits included. Since these thermostats require C-wires, the included kits are a workaround to get it functioning if you don’t have a C-wire installed. Note: While they both include the power extender kits, the newer Ecobee4 has an updated kit that is easier to set up and use. Nearly the same size. Ecobee3 is 100 mm x 100 mm, while Ecobee4 is slightly larger at 109 mm x 109 mm. Compatibility with the same HVAC systems. Including: gas, oil, electric, dual fuel, conventional, heat pump, humidifier, dehumidifier, ventilator, and HRV or ERV. To find out if Ecobee thermostats work with your set up, use their compatibility checker. Energy-saving modes. Both thermostats offer energy-saving modes to help you reduce your power consumption and lower your bill. Mobile app control from anywhere. Set vacation mode, control your thermostat remotely, and receive service alert reminders. The devices both use the same Ecobee app for user control. Energy savings. 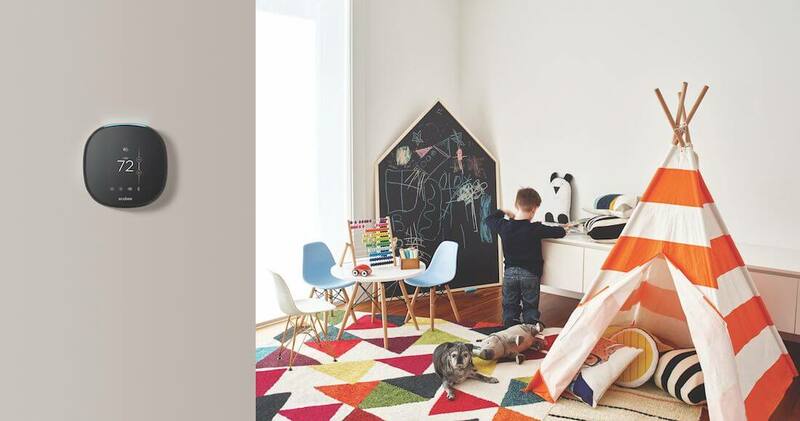 Ecobee sensors know when you are home or away. Ecobee’s tracking is more advanced than other smart thermostats that can only sense if you walk directly in front of them. With data from your activity around the home using its remote sensors, Ecobee adjusts itself to reduce your energy usage. You’ll see how much you saved in the monthly energy reports. Smart home device compatibility, including SmartThings, HomeKit, IFTTT, Wink, Google Assistant, and others. You can also control either device with Alexa. While only Ecobee4 has Alexa built in, both devices have a compatible Alexa skill so you can control the thermostat with your voice. Since Ecobee3 doesn’t have Alexa inside, you’ll have to use an Echo Dot for voice control. When comparing Ecobee3 and Ecobee4, you’ll notice that the upgrades for Ecobee4 are mostly focused on the Alexa integration. If you will use Alexa, then Ecobee4 is worth the extra cost. Instead of purchasing another Echo Dot or similar Alexa device, which just adds to your cost, Alexa is already built into your Ecobee4 thermostat. Those who use Ecobee4 can simply ask the forecast when going past their thermostat each morning. It can be very convenient as an all-in-one solution. If your thermostat is in a hallway or an area where Alexa wouldn’t be heavily used, then Ecobee3 is a great option at a lower price. Far-field voice recognition is supposed to prevent false alarms. But having Alexa devices in an open area like a hallway can still cause multiple Alexas to hear and respond to you at once. Depending on the set up of your home and where the Alexa devices are installed, your Ecobee4 with built-in Alexa could be more of an annoyance than a feature. Especially since you can’t change the wake word or disable it without the always-on red status light. If you decide to upgrade from Ecobee3 to Ecobee4, unfortunately there are no options for migrating your current settings and temperature preferences. So if you’ve spent a lot of time perfecting your Ecobee3’s automation, you will have to start all over with Ecobee4. For this reason, if you already have Ecobee3 it might make sense to just keep it—unless you want Alexa controls built in. If you do decide to upgrade, your existing Ecobee3 sensors are compatible with Ecobee4. Connect them by taking out the battery and put it back in again. 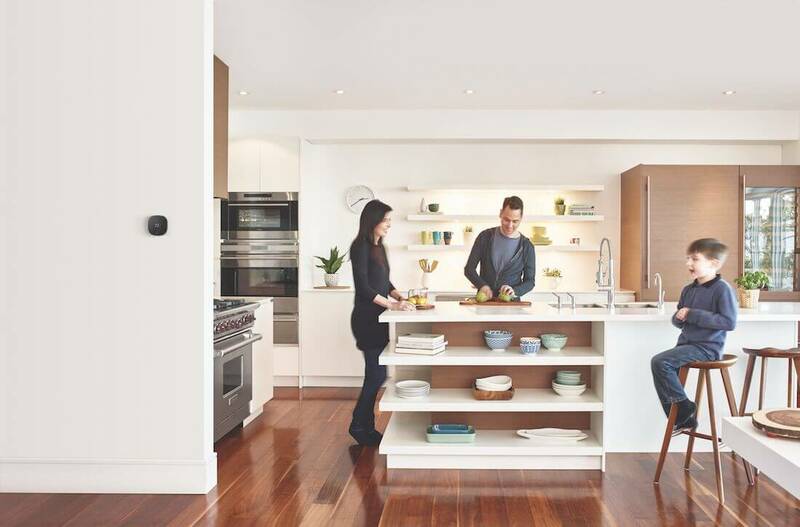 While Ecobee4 is the latest Ecobee thermostat, there are reasons you may want to opt for the older, less expensive versions. Other than Alexa, Ecobee3 has all of the same Ecobee features that you love: motion sensors, remote controlling, a nice LCD touchscreen, and more. Plus, you can always buy an Ecobee3 and Echo Dot. The Dot has better sound, connects to Bluetooth, and has full use of Alexa skills. Installing it near your Ecobee3 thermostat gives more functionality. If you already own a Dot, then Ecobee3 could be a better option because you won’t have to worry about both Alexa devices hearing and responding to you at once. Of course, it’s hard to say if Ecobee3 will always be around, or if the company will someday retire it as an older model. It’s still made and sold widely as an alternative to Ecobee4, but if you’re interested, you probably want to buy one soon before it’s no longer manufactured. 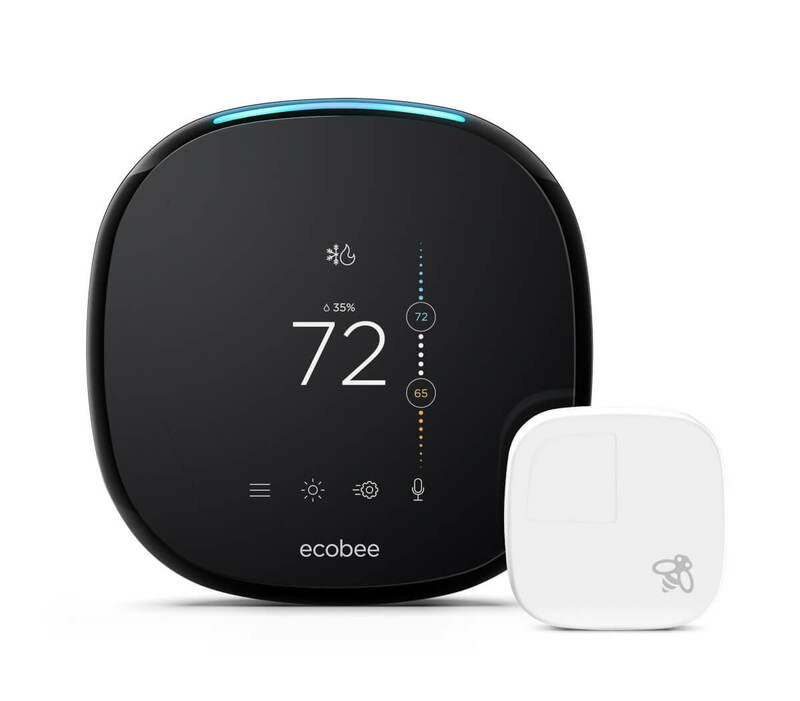 Note that the Ecobee3 Lite is also an option, and is typically offered at a lower price tag because it doesn’t come with a sensor and is missing a built-in occupancy sensor. Otherwise, it looks and works the same as Ecobee3. Find out more in our comparison of Ecobee3 vs Ecobee3 Lite. 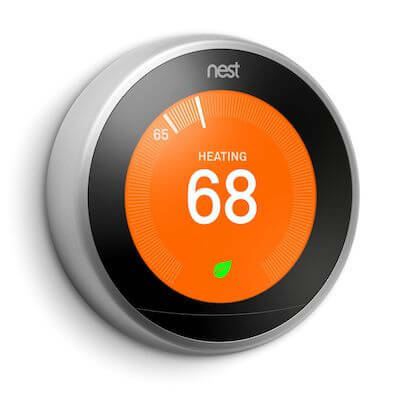 Of course, the other big player in the mix is Nest, which is the best-selling smart thermostat available. Nest has its own pros and cons when stacked up against Ecobee devices. We compare Nest with Ecobee4 and Ecobee3 in other articles if you’re looking to really dive deep into research. You also want to check out Nest vs Nest E if you’re thinking of going that route. That being said, there’s no other smart thermostat on the market with Alexa directly built in. Ecobee4 is kind of a league of its own for that reason. Ecobee wants to be more than just a smart thermostat company. Their goal is to bring voice control throughout the home using devices like the new Ecobee4, and the Ecobee Switch+. We set up and tested the Ecobee Switch+ in this video. It’s an interesting concept and similar to the Ecobee4 in several ways, since it makes a home for Alexa in your walls. Creepy or cool? You decide. The Switch+ also has Alexa built in, with a small speaker and status light similar to Ecobee4. And yes, it even has the same red light that shines nonstop if you disable your device. Switch+ can track when someone enters the room, in addition to the temperature. It works similarly to the brand’s remote sensors. Ecobee says that eventually you will be able to fully use these switches as remote temperature sensors with your Ecobee thermostats. Ecobee envisions Alexa in every room of your home, and they are making that seem like a possibility thanks to the Switch+ and Ecobee4. Now it’s up to you to decide whether or not you want her all over your home. 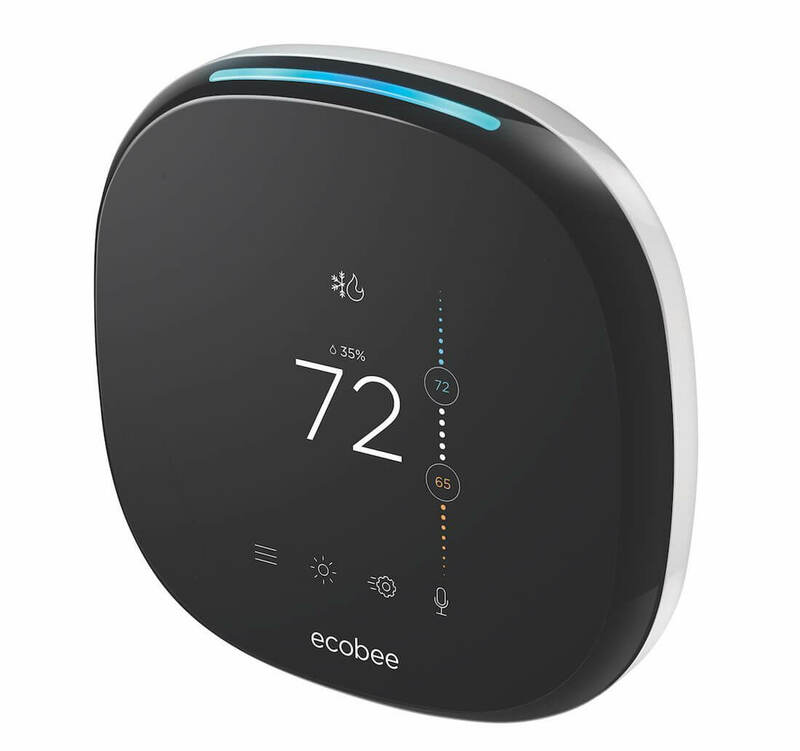 Ecobee4’s features set it far above the competition as the most advanced thermostat on the market. Which is your pick between Ecobee4 vs Ecobee3? Would you spend the extra cash for Ecobee4? Comment below and let me know!